Hag Sukkot (Feast of Tabernacles) Party! Come Celebrate the Feast of Tabernacles with us! All are invited to come join us in celebrating the Feast with great food, fellowship and song as well as teachings, and blessings and waiving of the lulav and etrog! Sukkot is a happy seven-day holiday. It starts on the fifteenth day of the seventh month. It is connected to the harvest. The first and eighth days are days of rest. One should rejoice using four kinds of plants. It is an everlasting commandment. Jewish people in Israel are commanded to dwell in a sukkah for seven days. It is a commemoration of the exodus from Egypt. Sukkot has a double significance. The one mentioned in the Book of Exodus is agricultural in nature—”Feast of Ingathering at the year’s end” (Exodus 34:22)—and marks the end of the harvest time and thus of the agricultural year in the Land of Israel. The more elaborate religious significance from the Book of Leviticus is that of commemorating the Exodus and the dependence of the People of Israel on the will of God (Leviticus 23:42-43). The holiday lasts seven days in Israel and eight in the diaspora. The first day (and second day in the diaspora) is a Shabbat-like holiday when work is forbidden. This is followed by intermediate days called Chol Hamoed, when certain work is permitted. The festival is closed with another Shabbat-like holiday called Shemini Atzeret (one day in Israel, two days in the diaspora, where the second day is called Simchat Torah). 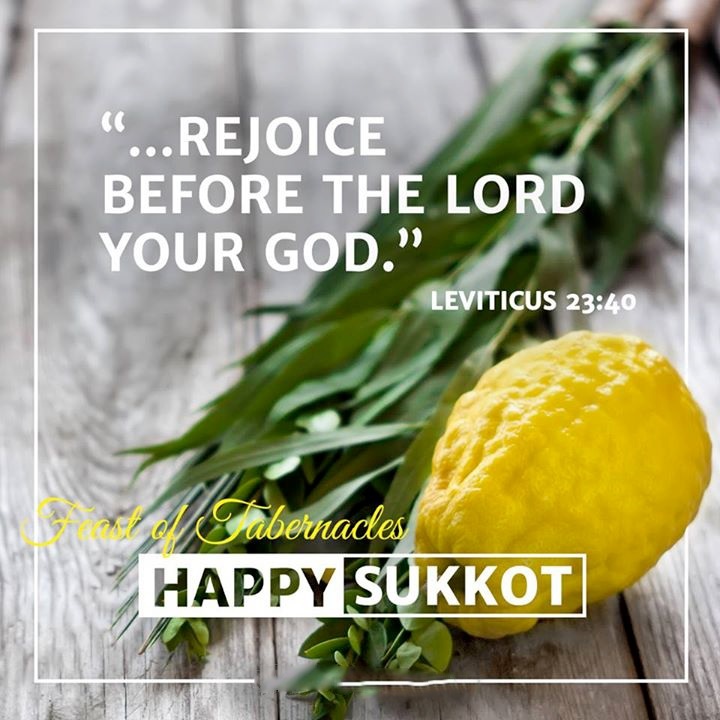 Shemini Atzeret coincides with the eighth day of Sukkot outside Israel. The Hebrew word sukkōt is the plural of sukkah, “booth” or “tabernacle”, which is a walled structure covered with s’chach (plant material such as overgrowth or palm leaves). A sukkah is the name of the temporary dwelling in which farmers would live during harvesting, a fact connecting to the agricultural significance of the holiday stressed by the Book of Exodus. As stated in Leviticus, it is also intended as a reminiscence of the type of fragile dwellings in which the Israelites dwelt during their 40 years of travel in the desert after the Exodus from slavery in Egypt. Throughout the holiday, meals are eaten inside the sukkah and many people sleep there as well. On each day of the holiday it is mandatory to perform a waving ceremony with the Four Species. The Esrog has a good taste and a good fragrance. It represents a person with both wisdom (Torah learning) and good deeds. The Hadas (myrtle) has a good fragrance, but is inedible. It represents a person who has good deeds, but lacks wisdom. The Lulav (date palm) is edible, but has no smell. This represents the person with wisdom, but without good deeds. The Aravah (willow) has neither taste nor smell. It represents a person with neither good deeds nor Torah learning. On Sukkot, we gather these four species, bind them, and wave them all together. The Lulav is only kosher if all four species are taken together which represents our unity as one people – The Whole House of Israel! 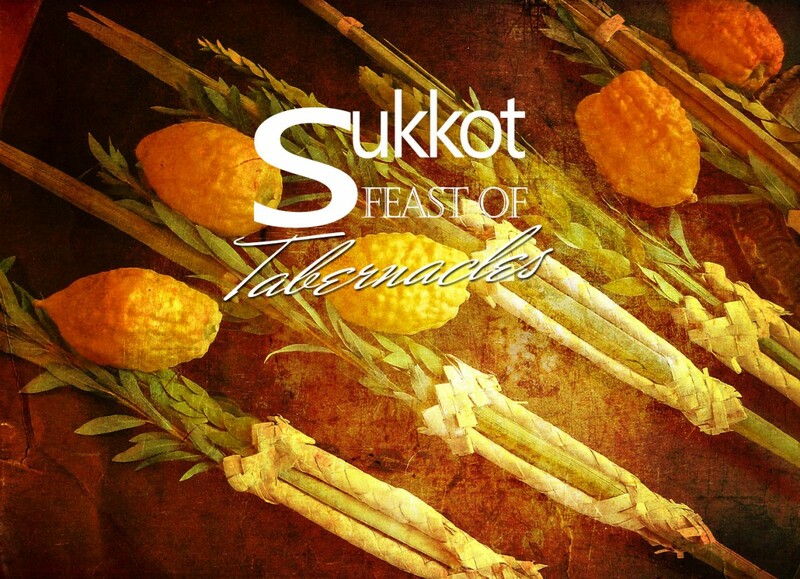 The Feast of Tabernacles is also known as the Feast of Ingathering (Leviticus 23:34; Exodus 23:16) and is called Sukkoth in Hebrew. This festival pictures the 1,000-year rule of Messiah on this earth, known as the Millennium (Revelation 20:4-6). This follows after the binding of HaSatan pictured by the Holy Day of Atonement (Revelation 20:1-3). Messiah will set up the Kingdom of God following His return to the earth. Isaiah describes this future period as a time of peace when God’s Torah will go forth to all nations from Jerusalem (Isaiah 2:2-4). The fierce nature of some animals will change (Isaiah 11:6; 65:25), the earth will become highly productive (Isaiah 35:1), and, most important, “the earth shall be full of the knowledge of the Lord as the waters cover the sea” (Isaiah 11:9). With HaSatan’s evil influence removed, all of humanity will at last learn God’s ways! This perfect environment will be designed to offer all people the opportunity to repent of their sins and come to God the Father through Messiah. The Bible shows that Yeshua attended this important festival even when His life was threatened (John 7:2-14, 25), and in the Gospel of John, Yeshua taught in the Temple during Sukkot (John 7:2-14). It was on the seventh day, Hoshana Rabbah, when he said, “If anyone thirsts, let him come to me and drink. Whoever believes in me, as the Scripture has said, ‘Out of his heart will flow rivers of living water’” (John 7:37-38 ESV).